Comedian Jeff Ross performed at the foot of the border wall Saturday, April 29, at Alice Wilson Hope Park in Brownsville. “Jeff Ross Roasts Immigration: Live from Brownsville” premieres Nov. 16 on Comedy Central. A stand-up TV special filmed in the Rio Grande Valley and northern Mexico will premiere at 9 p.m. Thursday, Nov. 16 on Comedy Central. 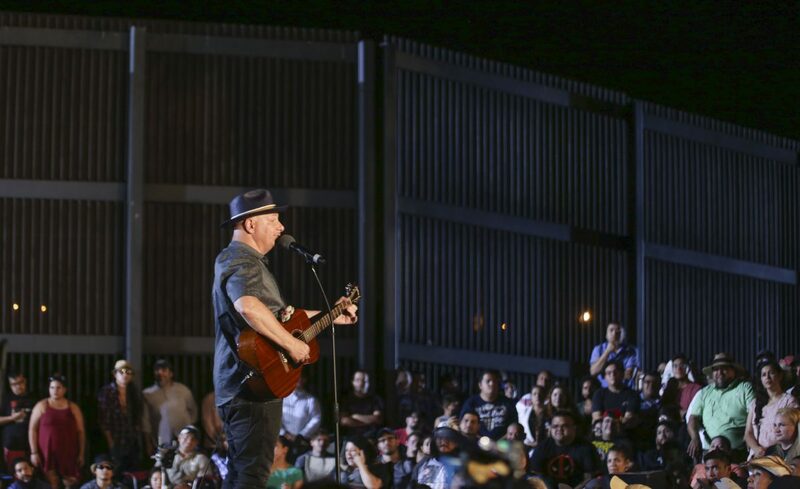 The program, “Jeff Ross Roasts the Border: Live from Brownsville, Texas,” combines footage from Ross’s performance in front of the border wall at Alice Wilson Hope Park and segments exploring various aspects of immigration. “This provocative and compelling comedy special takes Ross on a journey where he meets everyone from undocumented immigrants, law enforcement agents, DREAMers, ‘coyotes’ and Trump supporters — even coming across a pregnant woman fleeing the violence in El Salvador, stopped at the U.S. border after crossing the Rio Grande river in a raft,” according to a news release. Some questioned the appropriateness of his visit and the project, and the veteran comic acknowledged those concerns in a previous interview with The Monitor.